The Cleveland Cavaliers are starting to ramp up their game as the news and rumors keep streaming out. Dion Waiters has been one of the most-talked about Cavs players, especially after a report that claimed he missed the National Anthem due to religious reasons stemming from being a Muslim. He missed the anthem on the same day he was demoted out of the starting lineup. But Waiters later slammed the story, leading to a clarification from reporter Chris Haynes of the Northeast Ohio Media Group. “On Friday, Dion informed me of his Muslim faith and said that was the reason he missed Wednesday’s national anthem. ‘It’s because of my religion,’ Waiters said. ‘That’s why I stayed in the locker room,'” Haynes wrote. “I never recalled Dion missing a national anthem performance before, but he did mention he is rededicating himself to his religion. I then asked if he planned to continue this pre-game ritual the remainder of the season, and he replied, ‘Yes, I do.’ Thus, the story was born. Dion and I had a long conversation on Saturday and we came to the realization that we were thinking two different things. But Waiters later told reporters that his pregame ritual, which involves going back to the locker room area with between five and seven minutes left on the pregame horn, has nothing to do with religion. 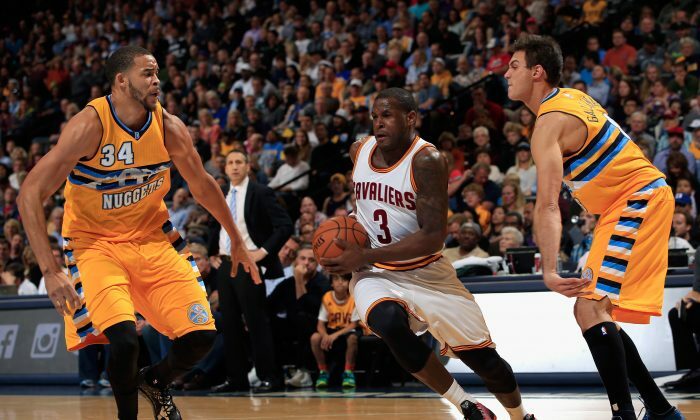 Waiters also said he’s comfortable being the sixth man. “Nah, I knew it was going to happen sooner or later. I was actually thinking about it myself, is it better for the team? I went to Coach and told him it might just be better for me to come off the bench, by myself. At the end of the day I’m still growing, still learning, especially with this team, this offense and the time we’ve had.” he said. 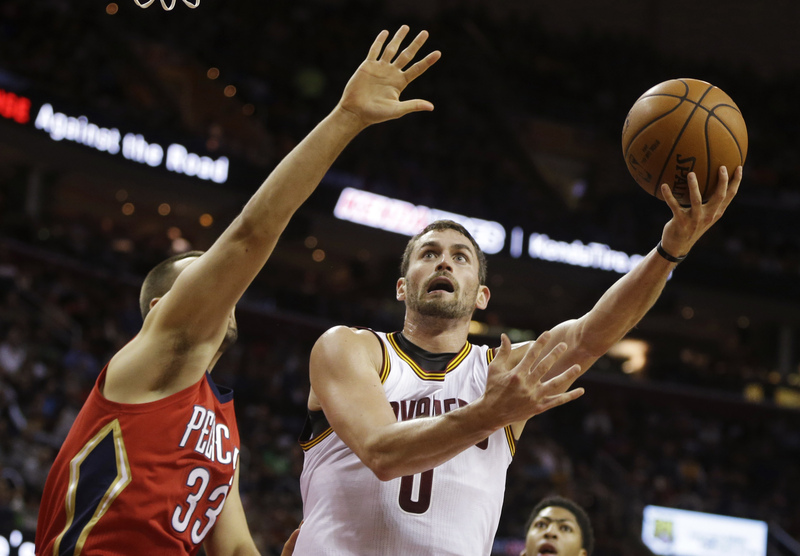 The Cavaliers early struggles have prompted speculation that Love will opt out of the final year of his contract and then leave for Los Angeles. But the speculation is just that, and doesn’t seem to have much merit this early in the season. It’s assumed that Love will opt out of the final year but he said earlier this year that he’s committed to the Cavs long term. “I’m committed to this team, committed long‑term to the end goal and that is to win championships and to win a championship here in Ohio,” he told Cleveland.com. Love has also expressed admiration for both LeBron James and Kyrie Irving. “You mentioned the word opportunity, he just draws so much attention from the team that’s out there, more often than not he’s going to double team and sometimes triple‑team. All eyes are usually on him because even if he doesn’t have the ball, he’s so good with moving without it. He can shoot it and he’s really expanded his game as well. He’s unselfish and an undeniable leader,” he said. The jersey that James wore for his first regular-season game after returning to Cleveland is up for auction. After 20 bids so far, the jersey is up to $7,960. The bids started at $250 and increments are for $20. The bidding is open until November 20. It opened on November 4.